Specific conductivities of a homologous series of n-alkyl trimethylammonium bromides (C8,C10,C12 and C14TABs) in the presence of poly(l-aspartate) in glycine buffer at pH 3.2 and 25 ∘C have been measured over a range of C n TAB concentrations. 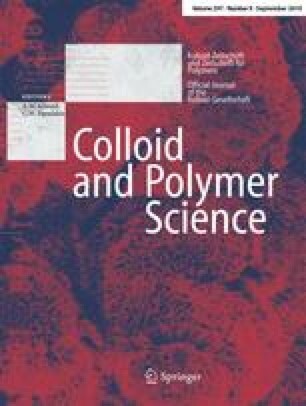 From the conductivity changes, the number of surfactant molecules absorbed onto the polymer, the Gibbs free energies of adsorption and the equilibrium constants have been calculated. A statistical thermodynamics analysis was used to obtain the Gibbs free energies of adsorption. The results obtained using both methods are compared and analysed.